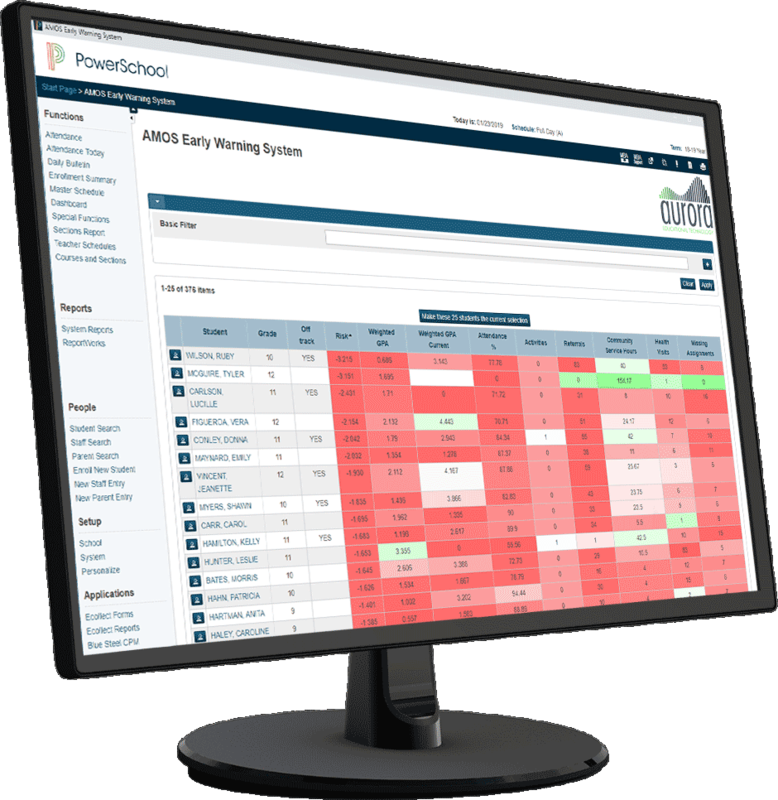 AMOS (Angular Merger of Signals) is an at-risk dashboard that can be customized to display any factors that are in PowerSchool. Each metric can be identified at the school or district level. 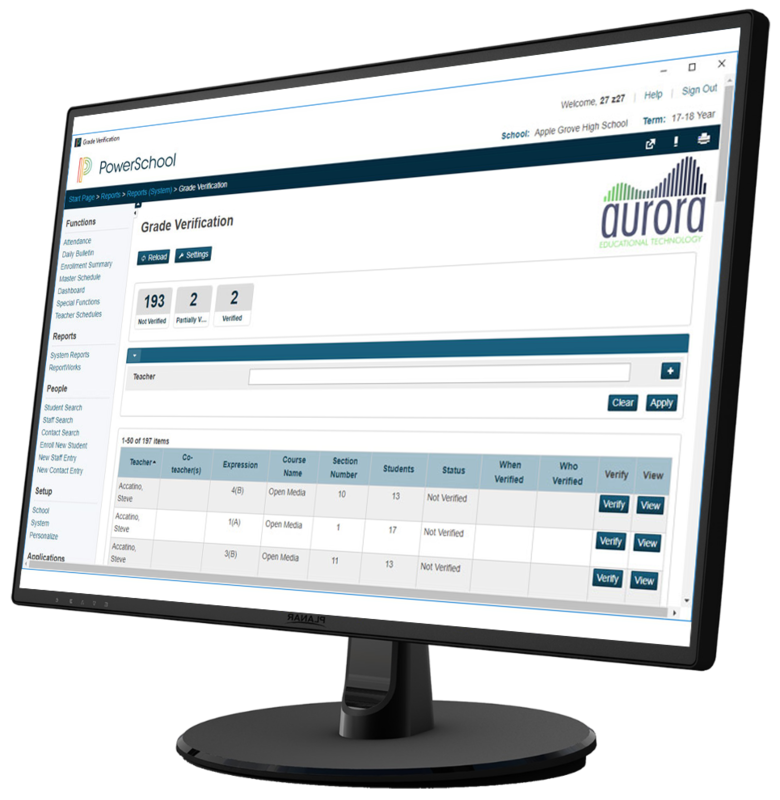 This plugin allows for efficient and effective communication between teachers and administrative staff during traditional grade reporting times at the end of the term. 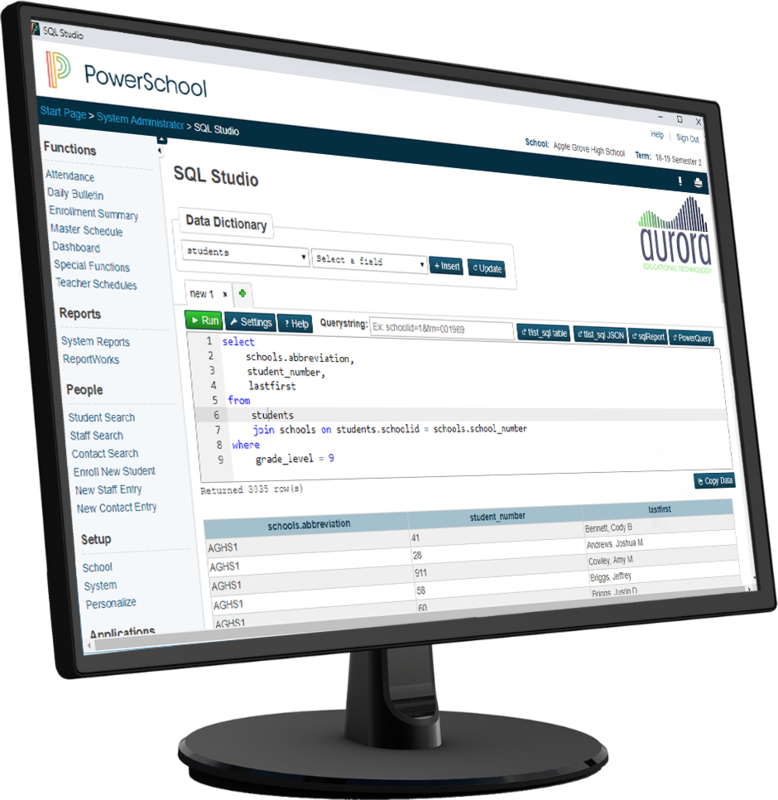 Aurora Educational Technology has helped hundreds of PowerSchool educational institutions make the most of their student data. Through free plugins, add-ons available for purchase, and individualized customization work, AET has tweaked, enhanced, and improved most areas of the PowerSchool portal. Custom Alerts 3.0.2 is predominantly a bugfix release. Added Mass Print for teachers. Retooled preference pages. Added option to remove alert icons from printed pages.